Lindsay Avery is a Preston based writer with a background in contemporary theatre. She has created short performances for various groups and is currently developing her skills in script writing hoping to bring to life a full length piece of work in the new year. Theatre By Numbers is happy to have supported her work over the past year having several pieces performed as part of Black Box Tales and read as part of our Ripples In Concrete project developing new writing. 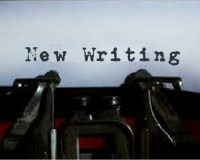 Now Charlie Mortimer is looking to work with Lindsey Avery on her new piece in development which shall directly aid Charlie's exploration of best practice in working with new writing. Watch this space for updates and developments in Lindsay's latest offerings.